The Aberlour Futures – Dumfries and Galloway service was contacted by Amy’s Pupil Support teacher from Stranraer Academy in September 2016. 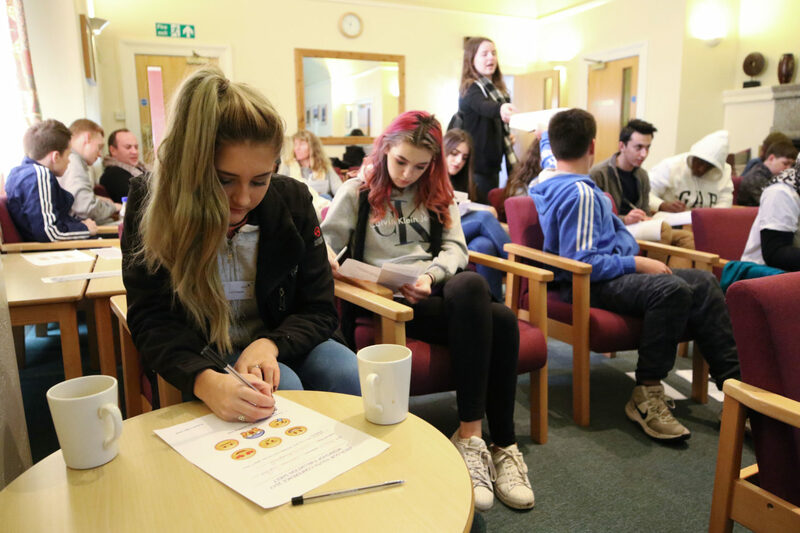 The service supports young people aged 11–18, who are experiencing social, emotional or behavioural difficulties which impact on their education. The service operates from bases in Dumfries, Annan and Stranraer. Amy suffered from anxiety and struggled at school. She was bullied and this lead to her school work suffering and her behaviour becoming disruptive in class and at home. Amy lived with her twin sister, her mum and her mum’s partner. Amy was at risk of school exclusion when she was referred to the Futures service. Amy was referred by her school Pupil Support Teacher shortly after she started 4th year as she was experiencing anxiety and panic attacks. The team at Futures worked with Amy on creating coping strategies that would build her confidence. Amy was initially reluctant to engage and was sceptical as to what Futures was and what it could offer her. Kerry, Amy’s Key worker, slowly started to gain Amy’s trust, allowing her time and space to experiment with various activities, and find out what she was good at. Kerry helped Amy to identify skills and plan goals that would be beneficial for her in the future. She set Amy small challenges to increase her confidence and supported her to make links with Dumfries and Galloway Employability Skills Service and Skills Development Scotland. Kerry accompanied Amy on visits to their premises and supported her to successfully complete an ASDAN PSHE programme. She received a certificate for this which helped her to see that she was capable of achieving academic success. Amy was given the opportunity to work in small groups and with a range of adults/young people and staff at the service which helped her to make friends and build positive relationships. Amy applied for work experience through Dumfries and Galloway Employability and Skills Service and started a placement working with young children in her local community. Amy also completed an application form for college and coached her in interview skills for the College Advice Session. Amy was successful in her application for college and was welcomed onto the Childcare Course at the John Niven Campus in September 2017. In the future, Amy would like to join the Royal Air Force and believes that getting herself back into the frame of mind to study via the childcare course will help her achieve that.